“Operation Beautify” in Annapolis is quickly coming to a close. We have some odds and ends to take care of, especially outside, before it gets really cold and the snow and ice move in. We will be meeting tomorrow morning – Saturday December 17th – from 8am – 12noon. 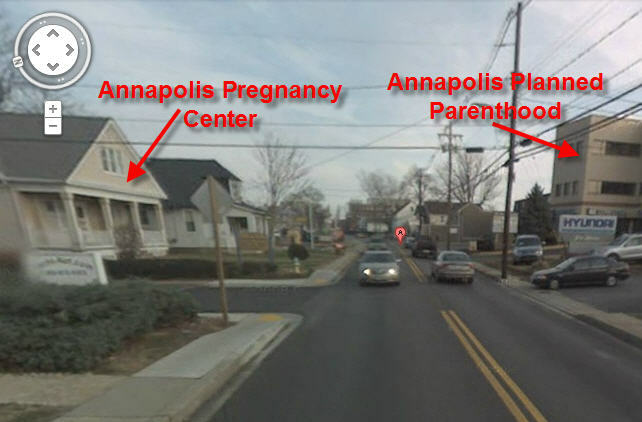 We need about 10 people, so if you can spare some time in the morning (even just 1 hour), please join us at the new Annapolis Pregnancy Clinic at 934 West Street. Just bring yourself and some warm clothes…we’ve got all the supplies and tools! Last week marked 1 year since Leroy Carhart started performing late-term abortions in Germantown, MD. The Maryland Coalition for Life, in cooperation with several local and national Pro-Life organizations, helped coordinate a Prayer Vigil and Press Conference to remember the 720 lives taken by Carhart in the last year. More than 2100 people attended the event on Monday, December 5th! This was the single most attended event in Germantown so far. Faithful Christians from over a dozen different churches from across MD, VA, and DC attended, and there children and adults of all ages. One of the most gripping parts of the event was the 720 white crosses to signify and remind the community of the approximately 720 lives taken by Carhart. Check out the Pray for Carhart Blog site for some amazing pictures! And check out the MDCFL Video page for videos of the event and all of the Press Conference speakers. Then on Saturday, December 10th, Cardinal Wuerl (Archbishop of the Washington DC archdiocese) served as the chief celebrant for a Mass at Mother Seton Catholic Church, which is right around the corner from Carhart’s abortion facility, and then led a solemn candlelit procession and prayer vigil over to and right in front of Carhart’s front door. 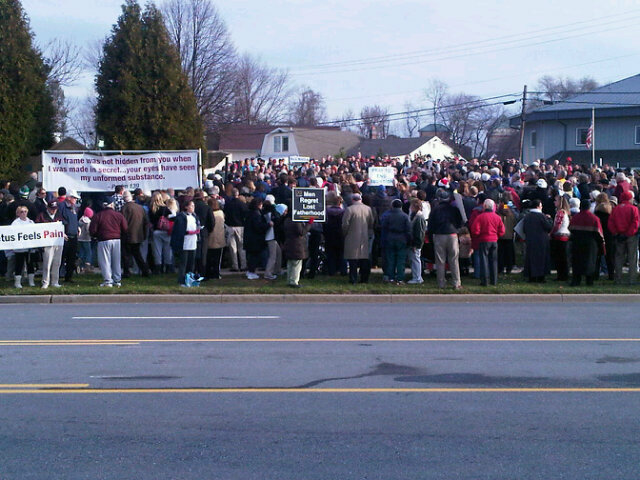 Now that the 1 year memorial has passed, we need everyone to consider sacrificing an hour or two Monday mornings, and come out to join us on Wisteria Driver from 8am – 10am to keep up the peaceful, prayerful presence – until Germantown Reproductive Health Services closes down for good, cheap viagra in uk and Carhart leaves Maryland for good! For all the information, including directions and parking instructions – go to http://www.PrayForGermantown.com.